Soon I will be receiving a smart W451 engine that fell to leaky oil rings. I saved the little thing from being scrapped and got it for scrap value. There’s no use in flipping the engine, so I want to make it into a table! Of course, smart engines aren’t exactly large, so the end result will either be a nightstand or small coffee table. 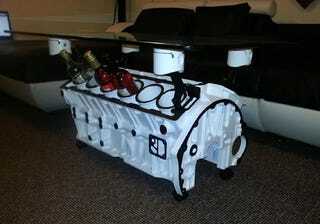 But, so far as I can see, I’ll have the first smart engine coffee table (for better or for worse). Does anyone have any pointers for me? I plan on painting it white with pink cylinder walls and pink piston heads.